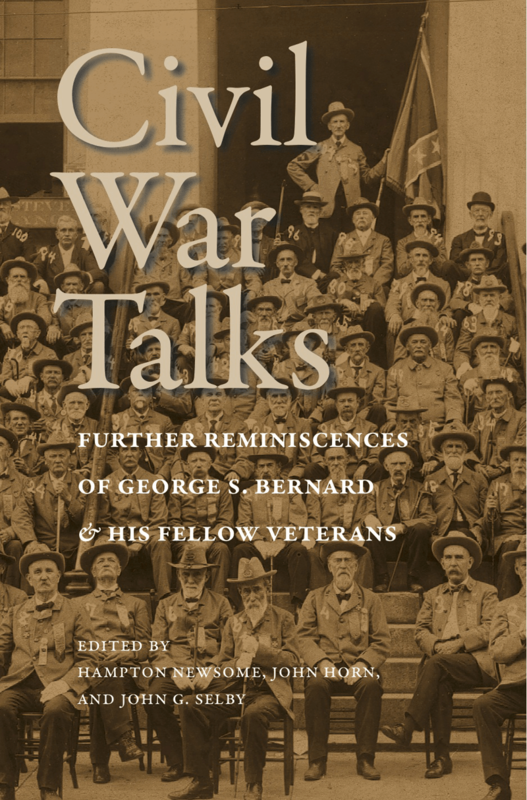 I am making my way through the new collection of postwar accounts that George Bernard likely intended to be a follow-up volume to his War Talks of Confederate Veterans (1892). Bernard served in the 12th Virginia, was present at the Crater, and remained very active in the A.P. Hill Camp, Confederate Veterans. War Talks is an invaluable source, especially when it comes to the Crater so I was very pleased to hear that a collection of reminiscences by Bernard and others was being readied for publication. There are only a few accounts of the Crater, including Bernard’s dedication address at Blandford Church in which a tablet was placed to remember the men from the Virginia brigade who died in the battle. The address follows a pattern which I explore in my new book on the Crater. While private reminiscences written by Confederate veterans continued to address the strong emotions re: the presence of black Union soldiers, public addresses took little notice. In fact, Bernard steers completely clear of what was pervasive in the letters and diaries of Confederate in the immediate wake of the battle. According to Bernard, “Our dead comrades fought and died in defense of their rights, their homes and their firesides.” No surprise there. The results have been many and far reaching, but none more striking than the growing conviction among thoughtful minds of the world, those of the North included, that the people of the South, however unwise or inexpedient may have been their act of secession, were, under the circumstances that surrounded them, justified in resorting to arms to maintain the right of their States to withdraw from the Union, if they saw fit, as they did to exercise this right. But it is proper to add here that the same omnipotent power, in His infinite wisdom has allowed future events so to shape themselves that all now regard the question of secession as finally settled against the right as claimed by the seceding states and no people of our re-united country are more loyal to it or would go further to defend it than the people of the South and especially the Confederate veterans. We too easily lose sight of the fact that while the activities of Confederate veterans during the postwar decades reinforced their connection to the 1860s and with one another it did not prevent them from moving forward. These men ought not to be interpreted as stuck in time. It may not be a stretch to suggest that their experiences in the war eventually enhanced their love and attachment for the United States. We’re very proud of this book and hope it makes a lot of new information available to historians and Civil War enthusiasts! My pleasure. It is an incredible resource and thanks for providing the link to Bernard’s papers. All the Confederates then, and lots in the north then, as well as a sizable chunk of us now only desire the Constitution be enforced as was intended. It certainly wasn’t by Lincoln and the radical Republicans, and those Yankees, so of course they left. George Bernard makes that clear. 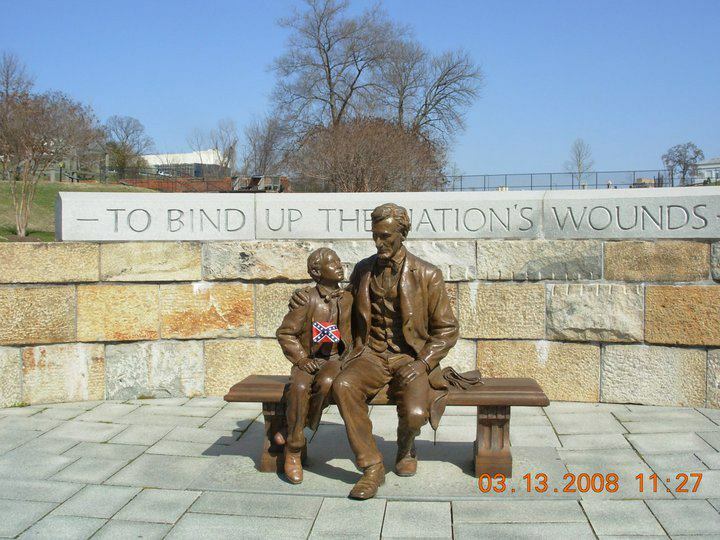 Post war, with the Lincolnites gone, the Confederate Veterans most likely believed they could get a better deal and away from the Constitutional destruction Lincoln so freely provided. Even ‘that Devil’ NB Forrest offered his services to Uncle Billy “loose with matches” Sherman for the issue with Spain. The ground on which we were born and raised and reside is our home, regardless of what the Govt de jure is, and we Southerners are 1st to fight to protect it. There would be no USA but for Southerners, but there is no uSA nor CSA because or Northerners. Bernard offers some thoughts that are often overlooked by those who claim to live politically in their footsteps. . . . While the activities of Confederate veterans during the postwar decades reinforced their connection to the 1860s and with one another it did not prevent them from moving forward. These men ought not to be interpreted as stuck in time. It may not be a stretch to suggest that their experiences in the war eventually enhanced their love and attachment for the United States. “Let us all, then, join their comrades who live, in spreading flowers over the graves of these dead Federal soldiers, before the whole American people, as a peace offering to the nation, as a testimonial of our respect for their devotion to duty, and as a tribute from patriots, as we have ever been, to the great Republic, and in honor of the flag against which we fought, and under which they fell, nobly maintaining the honor of that flag. It is our duty to honor the government for which they died, and if called upon, to fight for the flag we could not conquer. I just love those references to “we”. Oh, the power of imagination. Here, Here! It is Unfortunate that the elements of conservatism that are noble — the search for lost values, the strengthening of the family unit are drowned out by the ignorance and arrogance of those who insist that we return to a “simpler” time, and be divided by our differences, rather than celebrate our similarities. Remember that love for only one point of view is to invite fascism, and that the majority has the responsibility to help the minority, and not to marginalize them. This is definitely an important trend to remember, but I would also argue that one reason why Confederate veterans became more loyal to the US in the post-bellum decades was that the US was becoming, in Albion Tourgee’s very apt words, “not only southern in type, but distinctly Confederate in sympathy.” Tourgee was writing specifically about American literature as of the 1880s, but I believe the same can be said of American culture more generally by that point, and well beyond. So both Tourgee and I would argue that many aspects of the US itself were significantly more in line with Confederate perspectives by this time, and thus that it was all too easy for Confederate veterans to find much to agree with and support on that national level. PS. The Tourgee quote is drawn from “The South as a Field for Fiction” (Forum, December 1888). Can’t seem to find the full text of it online right now, but it’s quoted in tons of stuff. Of course it’s Southern heritage, Kevin–we Southerners have a long history of using a delicious yet devilish combination of fried chicken and pseudo-Christianity to discriminate against our fellow citizens, y’know. Previous post: How Many Americans Are Interested in the Civil War?